John is an experienced business banking professional providing lending, treasury management and account relationship management to a portfolio of 275 Fifth Third Bank business customers located in Indiana and Illinois. With experience as a business relationship manager, business lender and financial center manager, John is uniquely qualified to guide his customers through the financial challenges of a growing business. His philosophy is to efficiently and effectively apply his knowledge and experience to assist his clients in reaching the goals and objectives necessary to achieve maximum success in their respective industry. 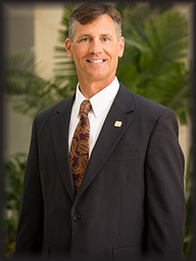 John has bachelor’s degree in business administration from Thomas More College. He was born and raised in Cincinnati, Ohio and still calls Cincinnati home. In addition to supporting the many community oriented events in the Cincinnati Over-The-Rhine community, John is an avid outdoorsman and backpacker and – along with his daughters – has traveled throughout the western United States and internationally for backpacking trips.